Independent boutique rum company Pirate’s Grog in Hackney, London, has expanded its product range with a limited edition 13-year-old Caribbean rum. 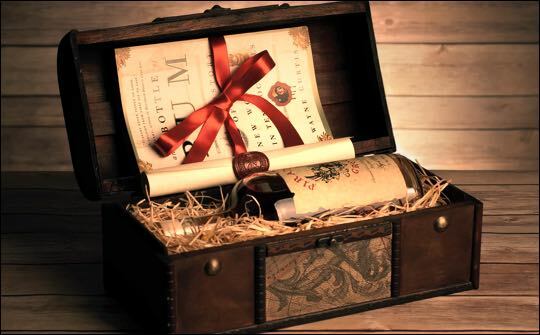 With just 777 bottles available, Pirate's Grog No.13 (40% ABV) from the island of Roatán off the coast of Honduras, is expected to sell out following an exclusivity period in Harvey Nichols store in Knightsbridge, London. Pirate’s Grog will be showcasing its product range using a pop up cocktail bar at UK festivals and events throughout the summer, including Taste of London Summer Edition, The Big Feastival, Foodies, Plymouth Flavourfest, Noisily Festival. Pirate’s Grog is currently stocked in over 40 independent bars in London, Edinburgh, Glasgow, York, Manchester, Norwich, Bristol, Devon and Cornwall.